We are not alone. Millions of people are confronting aliens that authorities say do not exist. Meet the Three Thieves, a group of Grays assigned to duty in a small Kentucky town. They have been preparing a child for generations. Innocent Conner Callaghan will face the ultimate terror as he struggles to understand who he has been bred to be, and what he must do to save humanity. Colonel Michael Morax strives to keep the secret of the Grays from the public for reasons so sinister, yet believable, that they read like truth. And Lauren Glass, government 'empath' to the last surviving captive Gray, known only as B for Bob, has a unique ability to communicate with this captive Gray. But when B for Bob suddenly escapes the highly secure underground Air Force facility that he's been captive in for years, a frantic race begins, as the government must outmaneuver the Grays to keep the secret of their presence intact. 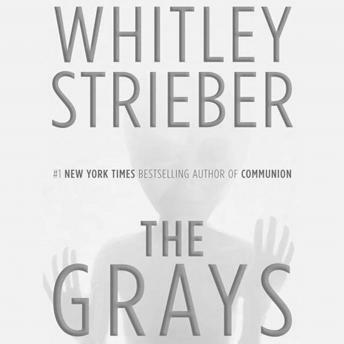 The Grays is a mind-bending journey behind the curtain of secrecy that surrounds the subject of aliens, written by the field's great master, Whitley Strieber. If you've never so much as thought about the subject before, this book will make you think deeply, not only about the mystery of who the Grays are, but who exactly we are. I love this book. Ive listened to it countless times and will listen to it again. If you know anything about the author than it masked the book that much better. Streiber not only did a fantastic job with this book, but also used some of his own personal experiences within the text.